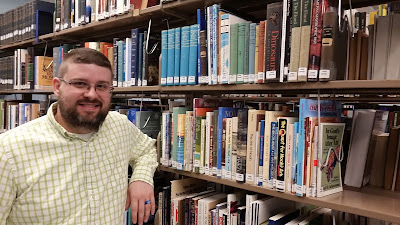 I'm excited to announce that Brett Thompson has joined Core Academy as our part-time librarian. Brett is a speech therapist who previously worked at a library during his college days. He'll be helping us organize and manage the Core Academy research library. With the library approaching 6,000 volumes, he'll be busy for quite some time. Welcome, Brett! I'd also like to extend my thanks to Roger Sanders who is now retired from Core Academy. For our first four years, Roger served as our vice president, and he worked steadily to help us create our video curriculum for earth science, biology, and one of our big short courses (which is still in production). When I first dreamed up Core Academy, Roger was willing to give it a try. I don't think I would gone through with starting Core Academy without his encouragement. He'll be retired from actively working with us, but he will remain on our board of directors. So thank you, Roger. May God bless you!